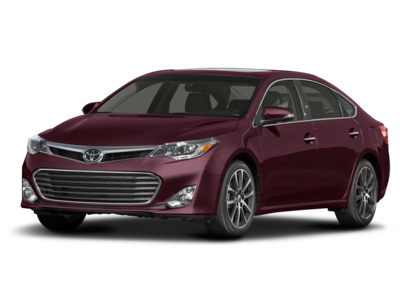 Coming in at number 10 in our list of Best Under $20,000 luxury Cars is the 2013 Toyota Avalon. Current inventory meeting this criteria averages 53,220 miles. Fuel economy is rated at 25 MPG combined. Scroll down to see what inventory is available in your area - hurry, before these great deals sell out! Coming in at number 9 in our list of Best Under $20,000 luxury Cars is the 2014 Lincoln MKZ. Current inventory meeting this criteria averages 33,620 miles. Fuel economy is rated at 24 MPG combined. Scroll down to see what's available in your area right now. Ranking eigth for Best Under $20,000 luxury Cars is the 2015 BMW X1. Current inventory meeting this criteria averages 31,506 miles. The 2015 X1 achieves a combined MPG figure of 25. Scroll down to see what's available in your area right now. 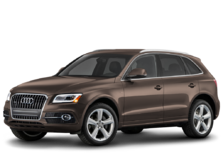 The 2011 Audi A5 is number 7 in our list for Best Under $20,000 luxury Cars. Current inventory meeting this criteria averages 74,737 miles. Fuel economy is rated at 25 MPG combined. Scroll down to see what's available in your area right now. Coming in at number 6 in our list of Best Under $20,000 luxury Cars is the 2012 Acura TSX. Current inventory meeting this criteria averages 66,898 miles. The 2012 TSX achieves a combined MPG figure of 25. Scroll down to see what inventory is available in your area - hurry, before these great deals sell out! Coming in at number 5 in our list of Best Under $20,000 luxury Cars is the 2013 BMW 3 Series. Current inventory meeting this criteria averages 50,766 miles. The 2013 3 Series achieves a combined MPG figure of 26. 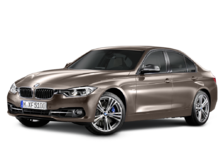 Take a look below to find the 3 Series in your area that suits you best! 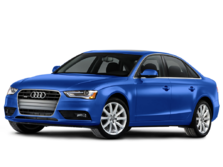 The 2016 Audi A3 ranks fourth for Best Under $20,000 luxury Cars. 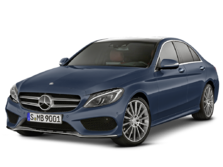 Current inventory meeting this criteria averages 16,978 miles. Fuel economy is rated at 27 MPG combined. Scroll down to see what's available in your area right now. The 2014 Lexus CT ranks third for Best Under $20,000 luxury Cars. Current inventory meeting this criteria averages 33,565 miles. The 2014 CT achieves a combined MPG figure of 42. Scroll down to see what's available in your area right now. The 2015 BMW i3 is number 2 in our list for Best Under $20,000 luxury Cars. Current inventory meeting this criteria averages 18,417 miles. The 2015 i3 achieves a combined MPG figure of 117. Scroll down to see what's available in your area right now. The 2016 Acura ILX ranks first for Best Under $20,000 luxury Cars. Current inventory meeting this criteria averages 20,310 miles. The 2016 ILX achieves a combined MPG figure of 29. Scroll down to see what's available in your area right now.